In the last decade, American diners have discovered Spanish cuisine. In the 1990s, tapas restaurants were a novelty, sought out by the few in the know. But in the last 10 years there has been an explosion of interest in the rich culinary tradition of Spain. Enthusiasm has been fired up by the creative dishes from outstanding chefs at major restaurants across the country. Diners love the variety of the small plate cuisine called tapas. Interested in exploring this heavenly cuisine? Here is a look at five of the best Spanish restaurants in the U.S. (in no particular order). Canela Bistro & Wine Bar in the Castro neighborhood merges the culture and local products of San Francisco with true Spanish cuisine. The menu suits the needs of casual diners looking for a glass of wine and tapas, or just dessert, as well as those wanting a more formal dinner with substantial entrees. Dinner features soups, salads, flat breads, cheese from Spain, and vegetable, seafood and meat tapas. For diners unfamiliar with Spanish cuisine, they offer a special four-course tasting menu. The setting is both elegant and comfortable, with food priced in the high range and wine in the moderate range. Toro brings the tapas experience to diners in the South Chelsea section of Boston. Chef Jamie Bissonnette received the James Beard Foundation Award for Best Chef in 2014. The restaurant, with a casual decor and moderate prices, specializes in the traditional small plate fare of tapa eateries. The cooks use fresh food and include updated versions of standard recipes like paella. The restaurant also serves a wide range of appetizers and salads, as well as a special brunch menu on Sundays. Due to the small size, it is strictly first-come, first served at dinner, with no reservations. Boqueria has three locations in Manhattan, on the Upper East Side, in Soho and at Flatiron. Modeled on the high quality tapas bars in Barcelona, the restaurants serve breakfast, brunch, lunch and dinner. It serves up a tempting variety of Spanish dishes priced in the moderate to high range. Trendy and comfortable, the restaurants serve market fresh fare. Specialties include Datiles con Belcon and Patatas Bravas. The menu features a variety of tapas and larger servings, called raciones, salads, meat and cheese combinations, hot entrees and seasonal dishes. Casa Juancho, located in Miami’s Little Havana, has received a number of fine-dining awards, earning recognition several years ago from Zagat as one of America’s top restaurants. Diners rave about its excellent tapas and paella. The restaurant serves dinners that specialize in fresh seafood, as well as beef and poultry dishes. 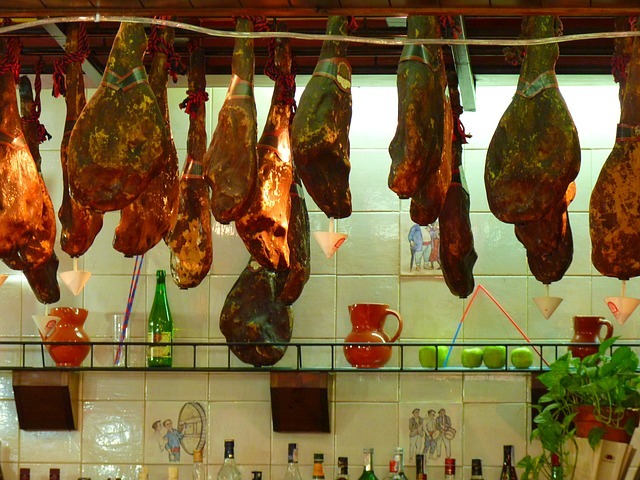 It offers tapas and is especially proud of those using acorn-fed Iberian ham. It is a popular eatery, with prices in the high range, featuring an authentic Spanish setting and a superior dining experience. Costa Brava, voted #1 Best Tapas of San Diego in 2014, is a moderately priced Spanish restaurant that serves up a garlic rich cuisine that locals love. The restaurant, with its earthy, cozy feel serves many tapas, as well as a variety of entrees made with a range of meats and poultry, like oxtails, lamb, chicken, chorizo, beef steak, and fresh seafood, including calamari, shrimp and salmon. The paella, rated awesome by customers, is made to order in the tiny kitchen.